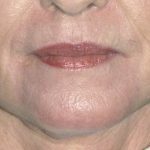 The development of vertical wrinkle lines around the lips (perioral rhytids) is a common aging sign of the mouth. It occurs earlier and in greater amounts in Caucasian females with thinner skin and fairer complexions. They are difficult to eradicate as they are the result of the muscle activity of the surrounding orbicularis muscle with frequent movement of the lips in a sphincteric motion. 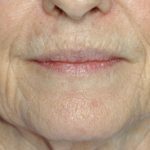 Given that wrinkles most frequently develop perpendicular to the direction of muscle contraction, the permanent elimination of developing vertical lip lines is impossible. 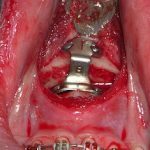 Perioral rhytids can, however, be treated and reduced in their severity. This has been done most effectively with laser resurfacing. While CO2 lasers were originally used, their depth of ablation was limited to the epidermis and the amount of heat generated in doing so significant that the risk of burn injuries and hypopigmentation was not rare. Erbium:YAG lasers offer improved skin resurfacing with a higher absorption into water and the ability to ablate both the epidermis and dermis. 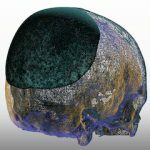 With a controlled depth of penetration and a more limited zone of thermal coagulation, healing and recovery is such faster as well as safer. In the January 2019 issue of the journal Plastic and Reconstructive Surgery, an article was published entitled ‘Long-Term Assessment of Perioral Rhytide Correction with Erbium:YAG Laser Resurfacing’. In this paper the author evaluated forty-five (45) patients over a seven year period who had undergone Erbium:YG laser treatment of their perioral wrinkles. 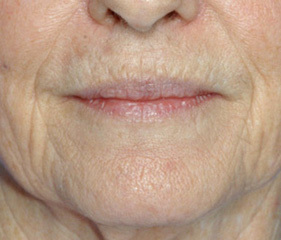 Their technique consists of fully ablating each individual vertical wrinkle line with an island technique. (shoulders of each wrinkle ablated down to its depth) Their photographic results were evaluated by blinded twenty reviewers, half of whom were plastic surgeons on a standardized grading sheet from 1 to 8. With an average followup of just over one year, improvement of 2 or more gradations on the scoring sheets for both perioral laser resurfacing along or combined with other facial rejuvenation procedures. Both groups had a 60% or greater improvement in their peril rhytids without any cases of hypopigmentation or healing difficulties. Erbium:YAG laser resurfacing of perioral rhytids is both effective and safe. While chemical peels and dermabrasion can also be effective these methods are much more user and technique dependent. While the Erbium:Yag laser is often thought of as being more superficial and less effective than the CO2 laser, that is more of a function of understanding how to use it rather than that of the true science behind it.